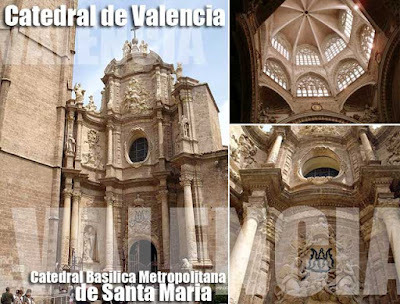 Within the old city walls of Valencia alone, there are dozens of old churches all stunning in their own right. 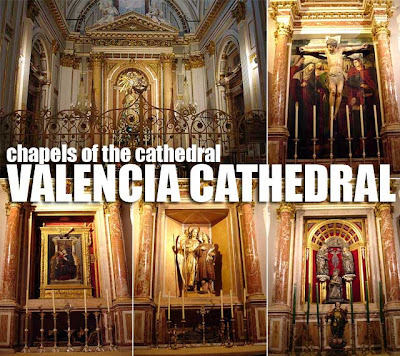 At the center of all these churches in the Catedral Basilica Metropolitana de Santa Maria or the Valencia Cathedral. Founded in the 13th century, it incorporates several architectural styles (its exterior is mostly Gothic but the main entrance is lavishly Baroque), and houses a large number of artistic and religious treasures. One of those treasures is said to be the Holy Grail which has a long history. Legend has it that St. Peter transferred the grail to Rome in the first century. It was then brought by St. Lawrence to Huesca, Spain together with Pope Sixtus II in the 3rd century when they escaped the persecution of Emperor Valerian. 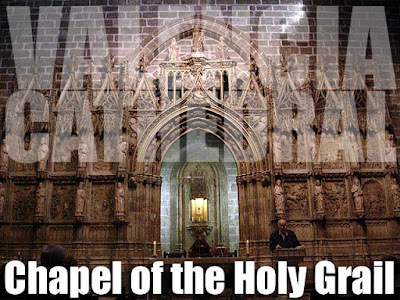 The cup was hidden in various places during the Muslim invasion that started in 712 A.D., finally finding itself in the monastery of San Juan de la Peña. It was given to King Martin of Aragon who kept it in the royal palace in Saragossa, and later in Barcelona when he died. His successor, King Alfonso transferred it to the palace in Valencia. During his stay in Naples, it was transferred together with other relics to the Cathedral where it finally stayed. Inside the cathedral, aside from the main altar, there are close to three dozen chapels, each housing its own treasures. Just looking at every one of them, absorbing the rich history of these artistic masterpieces, was an enriching experience. In two of those chapels, you'll notice skulls and bones enshrined in reliquaries. One chapel houses the tomb and remains of Sto. Tomas Villanueva. While another belongs to San Luis Obispo. Behind the altar, you can find the arm of San Vicente Martir. 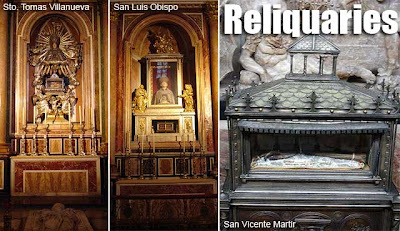 But in the Cathedral Reliquary, there are even more saintly remains including those of San Juan Ribera, San Luis Bertran (a hand that is the only part of his body that is entirely kept), San Luis de Anjou and other saints as well as other recently beatified Valencian people. Finally, there is El Miguelete or El Micalet, the Cathedral bell tower that has become a symbol of the city. You can climb its 207 steps to see the various bells and a great view of the city. They usually charge 4€ to enter the Cathedral. But since there was a fiesta, I got to enter for free.